They took only 10 minutes to prepare and 20 minutes to bake. So it was only 30 minutes from start to finish. You can find the non-standard ingredients at your local health store, Dischem or Wellness Warehouse. Mix wet ingredients in a medium bowl (in order listed). 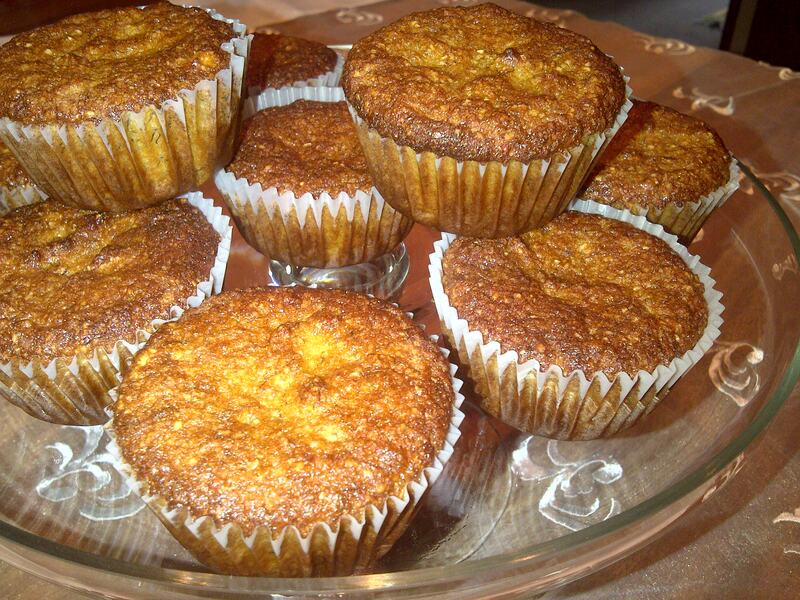 Bake muffins for about 20 – 25 minutes or bake a loaf for about 35 – 40 minutes. Posted on February 9, 2013, in Meal inspiration and tagged almond flour banana bread, banana bread, banana muffins, primal baked goods, primal banana bread. Bookmark the permalink. 4 Comments. Nope they didn’t, but I am just trying to help myself and others to do what we can to hunt and gather in our modern world. If our good choices outweigh the poor ones we stand a greater chance of being healthy.